CD and inserts are in great condition. German import on Colosseum label. Artwork and contents are identical to US Varese Sarabande issue. Our grading applies only to the discs and paper inserts (also to boxes and digipak carriers if applicable). CONDITION : Previously-owned disc and insert are Near Mint. Frank Sinatra. Not As A Stranger. "At The Movies". Young At Heart. Ol’ Man River. Three Coins In The Fountain. The Lady Is A Tramp. The Brooklyn Bridge. Has a few very minor scuffs but play good. All artwork & jewel case good. Take a look at the back: it probably says Made in China (or if you're and audiophile, Made in Japan). That aside, music CDs were not region-coded like many DVDs. Yes and no. Any CD that is made in Japan, will of course be sold and intended for the Japanese market. Title: Symphony No. 6 (Stokowski, Hollywood Bowl So). Format: CD. Missing Information?. Condition: New. Genre: Classical. Release Date: 2005-09-18. 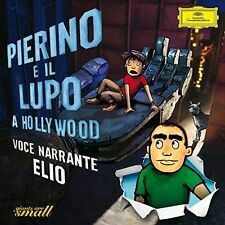 Title: Pierino E Il Lupo A Hollywood. Artist: Elio. Format: CD. Item Condition: New and unplayed. Artist: HOPE,DANIEL. Format: CD. We cannot be held responsible for delays if you do not use this reference. We want you to be 100% happy with your order. You are also entitled to have the goods repaired or replaced if the goods fail to be of acceptable quality and the failure does not amount to a major failure. Artist: ELIO. Format: CD. We cannot be held responsible for delays if you do not use this reference. We want you to be 100% happy with your order. You are also entitled to have the goods repaired or replaced if the goods fail to be of acceptable quality and the failure does not amount to a major failure. 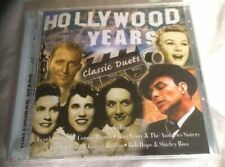 HOLLYWOOD YEARS CLASSIC DUETS CD ALBUM. THIS IS A GENUINE C.D. ALBUM, IT IS COMPLETE WITH THE DISC IN VERY GOOD CONDITION. IT IS NOT A COPY. IN THE PICTURE IS THE ACTUAL ONE FOR SALE. BEATLES: 'LIVE' AT THE HOLLYWOOD BOWL. NEW. INCLUDES BOOKLET. PERFECT 4 PRESENT. TWIST AND SHOUT. BEATLES FAN. ROLL OVER BEETHOVEN. EXCELLENT PRESENT. INCLUDES A BRILLIANT. WOULD ALSO MAKE AN. WILL SUIT ANY. SEE MY HUNDREDS OF. 5 out of 5 stars - BEATLES: 'LIVE' AT THE HOLLYWOOD BOWL. NEW. INCLUDES BOOKLET. PERFECT 4 PRESENT. 20 product ratings20 product ratings - BEATLES: 'LIVE' AT THE HOLLYWOOD BOWL. NEW. INCLUDES BOOKLET. PERFECT 4 PRESENT. Title: Escape to Paradise the Hollywood Al. Artist: Daniel Hope. Format: CD. Item Condition: New and unplayed. Artist: Caroline Campbell. Title: From Hollywood With Love. Format: CD. Missing Information?. Artist: Richard Glazier. Format: CD. Missing Information?. Title: Mario Lanza: The Toast of Hollywood. 2-4 The Night Is Young and You're So Beautiful 2-5 The Best Things in Life Are Free 2-6 'A Vucchella 2-7 If I Loved You 2-8 For You Alone 2-9 Make Believe 2-10 I'll Never Love You 2-11 You'll Never Walk Alone 2-12 Among My Souvenirs 2-13 I Love Thee 2-14 My Romance 2-15 Alone Together. Title: ANDRE PREVIN PLAYS MUSIC OF THE YOUNG HOLLYWOOD. Artist: PREVIN,ANDRE. Format: CD. Missing Information?. Title: Hollywood Flute Of Louise Ditu. Artist: Royer; Sinfonia Toronto; Ditullio. Format: CD. Missing Information?. Title: Hopeful Place. Artist: Holden; Hollywood Studio Symphony; Redfeld; Koladziej. Format: CD. Missing Information?. Artist: McCANN, LES TRIO. 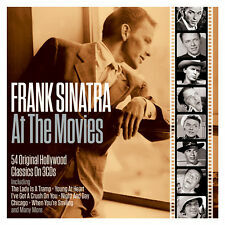 Title: Live in Hollywood, New York & San Francisco (2CD). Format: CD. Missing Information?. Title: Peter and the Wolf in Hollywood. Format: CD. Missing Information?. Condition: New. Genre: Classical. Release Date: 2015-11-13. Artist: Fraas/Vogtland Philh. Title: Film Music Sounds Of Hollywood Vol 2. Format: CD. Studio: Discovery Records Music. Missing Information?. Title: Puttin' On the Ritz - The Great Hollywood Musicals (Kunzel). Format: CD. Missing Information?. Condition: New. Genre: Classical. Release Date: 2001-04-04. Title: Beatles (The) - Live At The Hollywood Bowl. Artist: BEATLES. Format: CD. Missing Information?.